In July 2012, Chicago joined the World Health Organization’s (WHO) Global Network of Age-Friendly Cities. As a part of the WHO network, Chicago joined a growing number of cities and communities worldwide who are striving to better meet the needs of residents of all ages by creating inclusive and accessible urban environments. Chicago aspires to be an ‘inclusive and accessible urban environment that promotes active aging’. The World Health Organization (WHO) model is built on the premise that an age-friendly city sustains ‘opportunities for health, participation and security in order to enhance quality of life as people age’. Cities who join the network commit to a five-year cycle of planning, implementation, and evaluation. 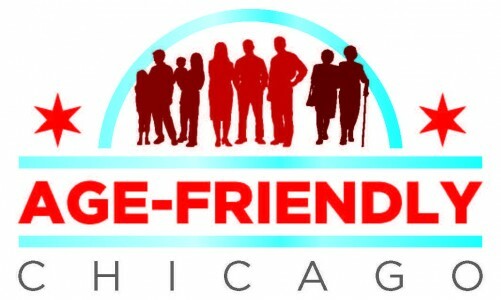 Upon Chicago’s acceptance into this global network, Mayor Emanuel directed the Department of Family and Support Services (DFSS) to lead a process to craft an Age-Friendly Chicago Plan. DFSS worked with its outstanding research partner, the Buehler Center on Aging, Health & Society (BCAHS) at Northwestern University to develop the Age-Friendly Chicago Assessment and Benchmarking Report. The full report and executive summary are available at the link below. Mayor Emanuel is planning to convene his department and agency heads to work on implementation of the initiatives set forth in the Report.